Knife crime is in the news. Why? Because here is the UK there has been a sharp rise in knife crime and with it some terrible losses of life. But as with any kind of rise in crime, we are left with questions. Questions such as what can be done to stop this? Well, things such as a rise in police numbers are not in your control, but there is something you can do, and in this blog post we are going to tackle this subject. 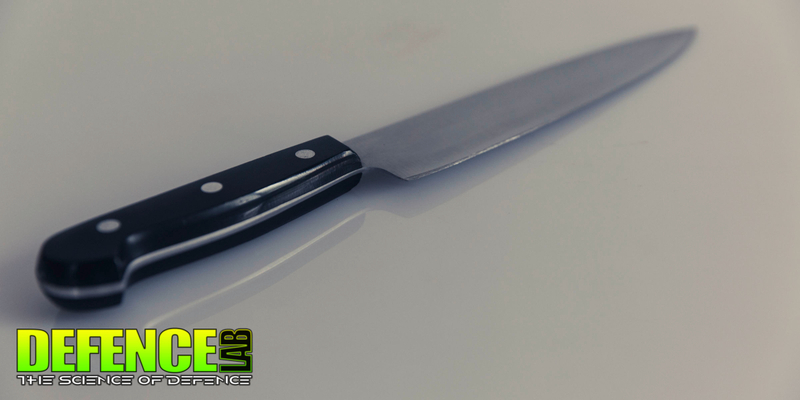 The first thing we need to address is that no one wins when a knife is involved. The offender who uses it and the victim. The second thing we need to address is this; the best defence to knife crime is to run away. Yes, a self-defence training company has told you the simple truth. No matter how good you are at self-defence, an attacker needs just to catch you once to cause severe and life-changing harm. You, on the other hand, have to be 100% effective with your techniques…100% of the time. There is no room for error when you are defending against a knife. And this is where we begin, by realising the fact that knives are extremely dangerous and people who carry them are potentially deadly. And now we have cleared this up; this is where we can start by telling you what you can do. Violence is never the victim’s fault. Any unprovoked attack at the hands of someone with the intent to cause you harm is likely to end in serious injury to yourself or others. And understanding this is key because when it comes to violence, you have a choice. Your choice is to either have some options if faced with someone with a knife. Could You Fight An Attacker With A Knife? Fighting a person with an edged weapon is damn tough, no, nearly impossible. But yes, there are techniques out there that can be used. There are techniques that could help to save your life. But if you train in self-defence other attributes come from this training that are more likely to be of greater benefit when faced with an attacker. Increased Strength and Stamina: Trying to stop a person stabbing or slashing you takes strength and stamina, and martial arts training grows these in abundance. Sharper reflexes: The drills you undertake each week will develop your reflexes and gross motor functions. Greater Defensive Body Movement: Moving when faced with violence is a skill. It is not the same as ‘just moving your body’. This has saved my neck more times than any technique. Greater Awareness: Yes, by learning how to deal with violence you study it and this, in turn, gives you greater awareness. You spot trouble makers earlier, and you have the confidence to trust your instincts. Right now as discussed you have 2 choices, to give yourself options to protect yourself if confronted with a knife-wielding attacker. And let us be clear the only way you can have options is to train in a system of self-defence because no other activity is going to help you. You might be reading this and thinking about your son, daughter or other loved one and thinking that they could benefit from self-defence training. As stated there are amazing benefits of training in martial arts, from increased confidence to making new friends and all of the obvious things such as the ability to protect yourself and your loved ones. The question you need to ask yourself really should be where you are training self-defence and not if. Now is the time to give yourself options, because if you are confronted with an attacker with a knife, it is too late then. Defence Lab offers you the ability to train online and in one of our many training Labs across the UK, Europe and the rest of the world. Take action today and give yourself the skills that could keep you safe.